Dumore offers a range of grinding wheels for the Series 12 and Series 25 tool post grinders to meet the majority of grinding applications. Grinding wheels for the Series 12 and Series 25 tool post grinder internal spindles are made from aluminum oxide (A) or silicon carbide (S) as denoted by the "Wheel Material Code". The 8" Internal Spindle (799-0028) and 16" Internal Spindle (799-0029) each handle 1/2" bore diameter standard grinding wheels up to 6" wheel diameter, 3/4" wheel thickness. Their maximum recommended speed is 8,000 rpm. 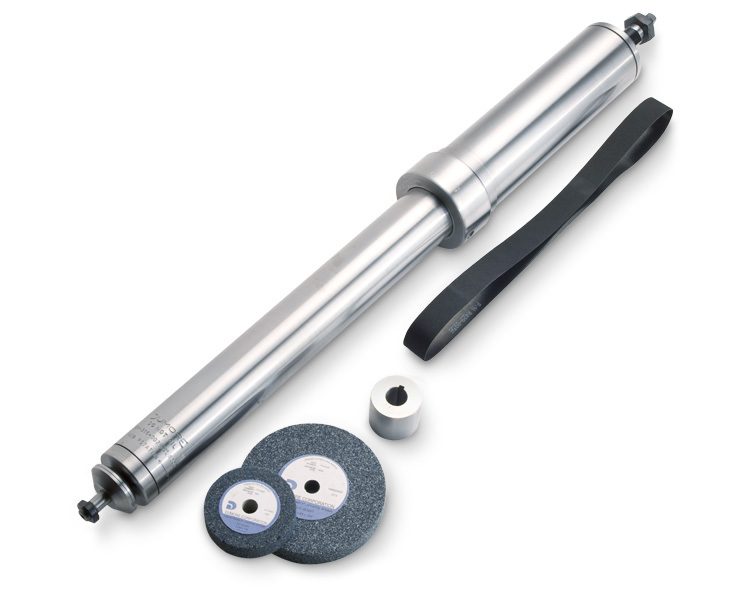 Use of these spindles on Series 25 tool post grinders also requires the Series 25 Spindle Adapter Kit (858-0035). Also see grinding wheels for use with the 8" External Spindle (807-0016), up to 8" wheel diameter, and grinding wheels for use with the 12" External Spindle (889-0011), up to 12" wheel diameter, for Series 12 and Series 25 tool post grinders.